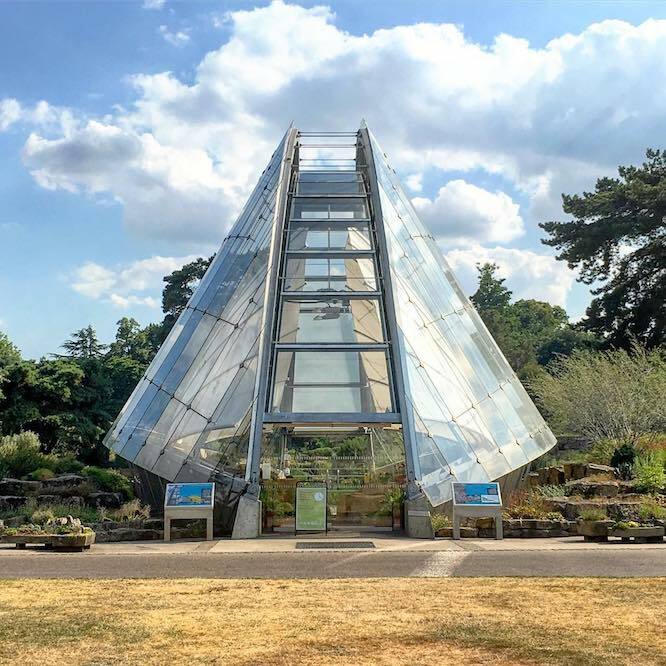 Kew Gardens is a proper relaxing place to visit. 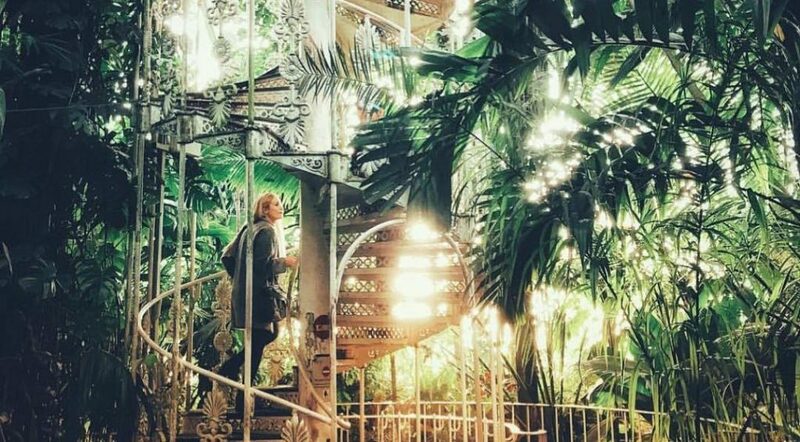 Humid and gorgeous, Kew’s iconic palm house is home to tropical trees, which, thanks to some Instagram-friendly iron staircases, can be inspected at canopy height. It sits next to a pretty lake and ornate flower beds. Around the corner, this petite-yet-curvy little greenhouse protects plucky little plants that like to grow up the top of mountains, bursting into flower briefly when the snow melts in the summer. You go, little dudes! Got a head for heights? 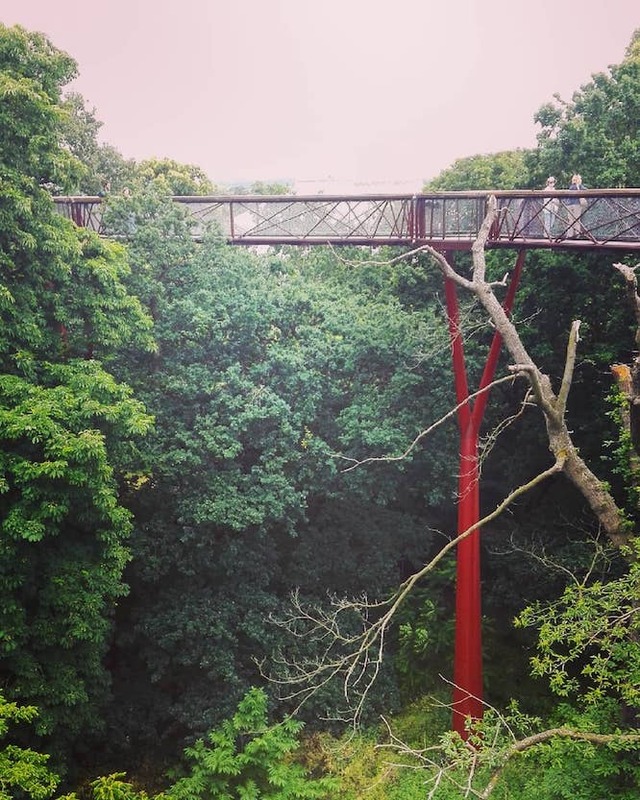 18 metres above the ground, the Treetop Walkway will give you a literal birds-eye view of the forest as you stroll among the canopy. It’s honestly rather pretty. 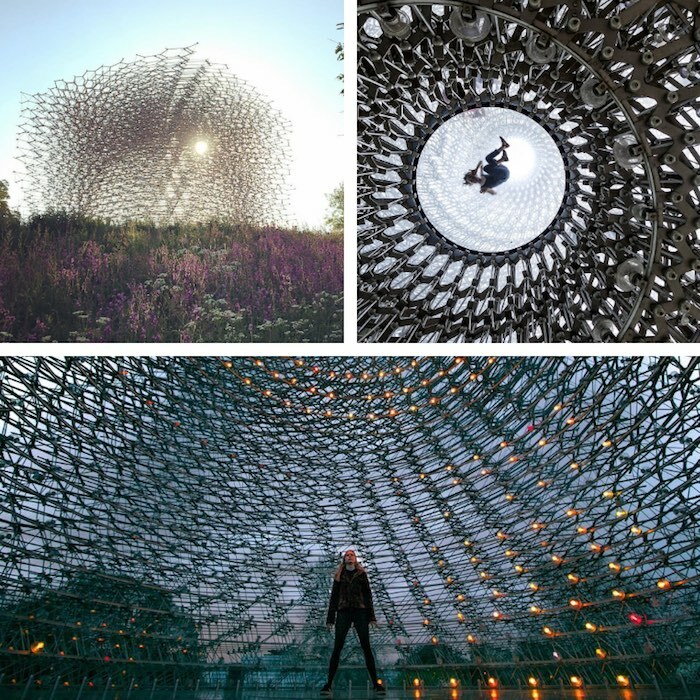 A one-of-a-kind structure that’s both delicate and rather ominous, The Hive is constructed from 170,000 individual aluminium pieces. A thousand lights and speakers embedded within are triggered in real-time the activity of bees in a nearby beehive. I find bees quite scary, if I’m honest, but it’s a nice piece of high-tech hocus-pocus if you’re getting overloaded by the tranquillity of everything else. 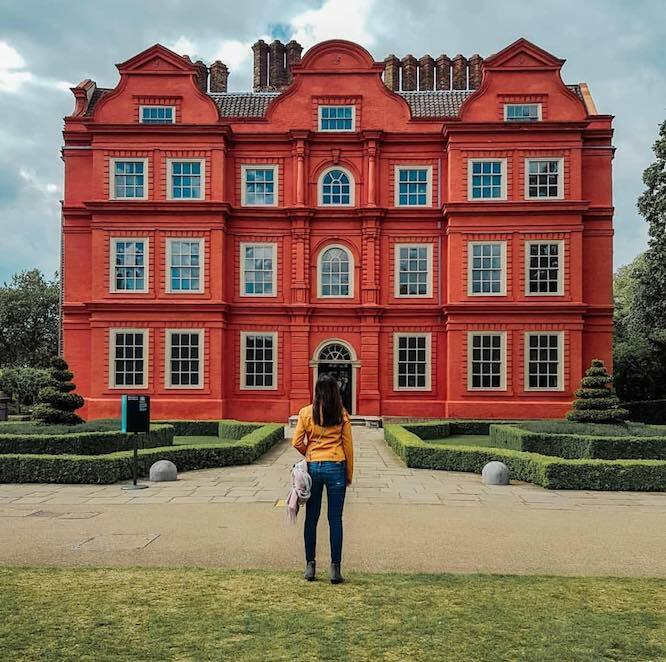 The ‘Dutch House’ is the only surviving part of a larger palace, where George III once spent his summers back in the late 1700s. You can also explore the ice house and the kitchens, where the servants of the day were once tasked with knocking out some OTT feasts literally fit for a king. 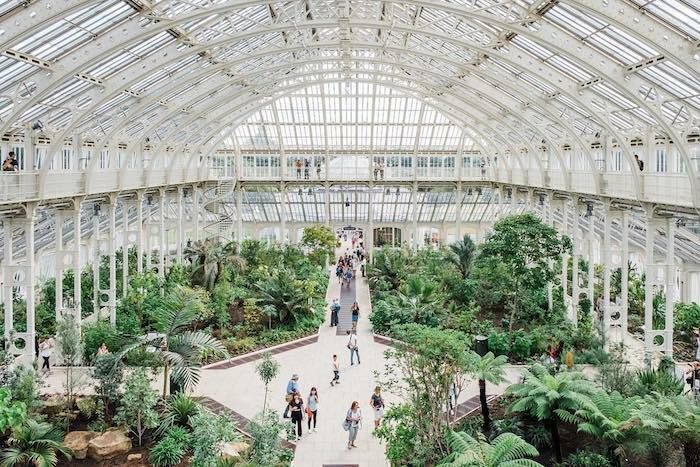 We hope you’re wearing some comfy shoes, because there are plenty of grounds to explore outside the cosy confines of the greenhouses – in fact, Kew Gardens is home to the most diverse collection of plant life in the world. 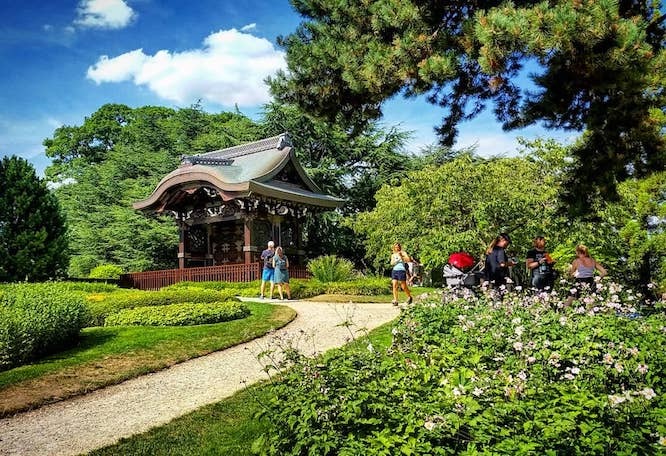 Completing a circular route is about an hour’s walk: see if you can find the bamboo garden, the Japanese gateway, rhododendron dell, woodland glade, arboretum, azalea garden, or any of the many follies and temples dotted throughout the 326-acre site. 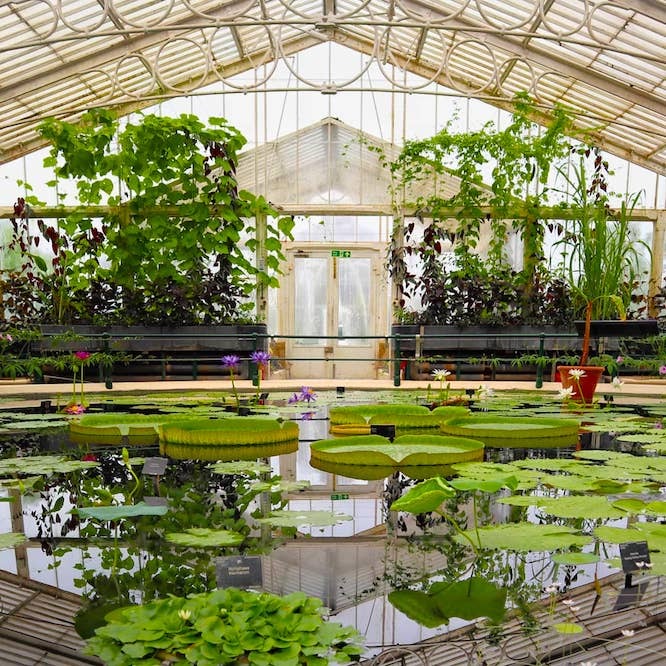 Kew Gardens is open year-round, seven days a week, from 10am daily. It closes around sunset: as late as 8pm in the summer, and as early as 3.30pm in the dead of winter. 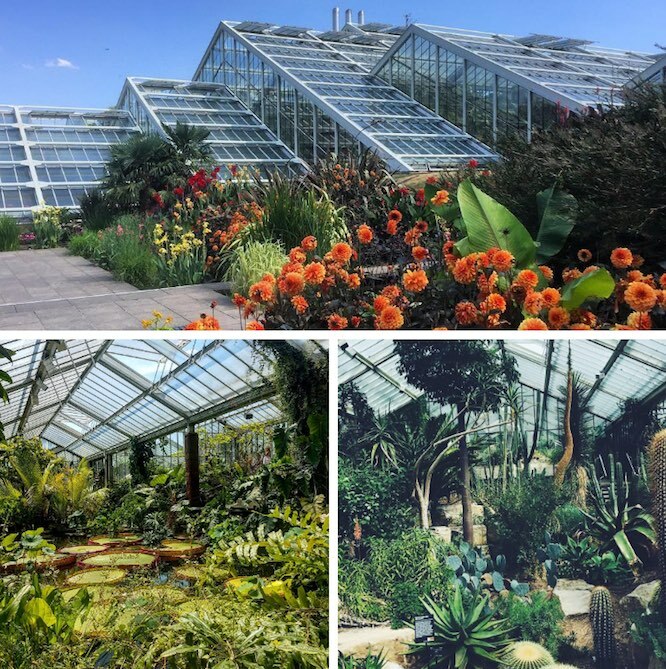 It’s perfectly pleasant for a visit any time of year, whether for springtime blooms or reddening autumnal hues, and of course, all the greenhouses are warm whatever the season. That said, you probably wouldn’t want to go on a day when it’s absolutely chucking it down with rain. One popular time to visit is Christmas, when the gardens are illuminated with fairy lights, lasers, colourful spotlights and other festive displays. 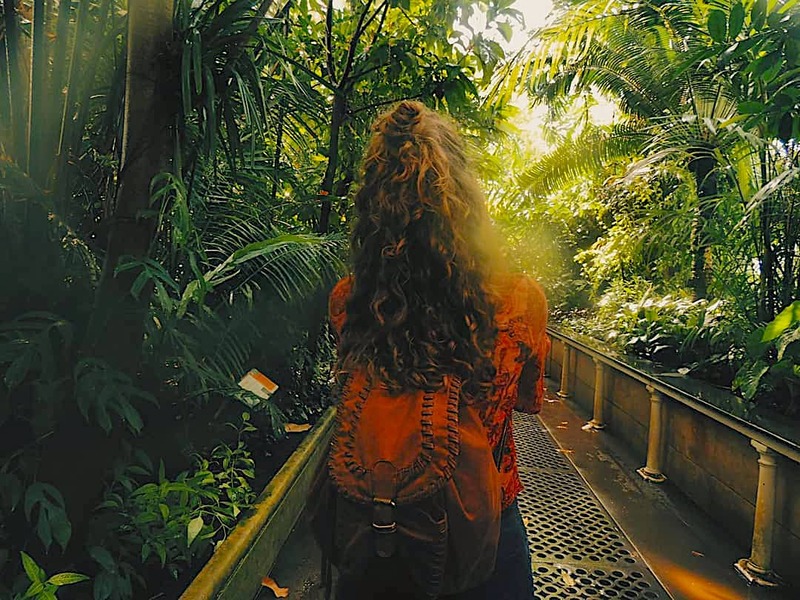 This is a separate offering to the regular garden openings, taking place after hours, so there’s no greenhouse access or chance to wander off into the darkened forests. 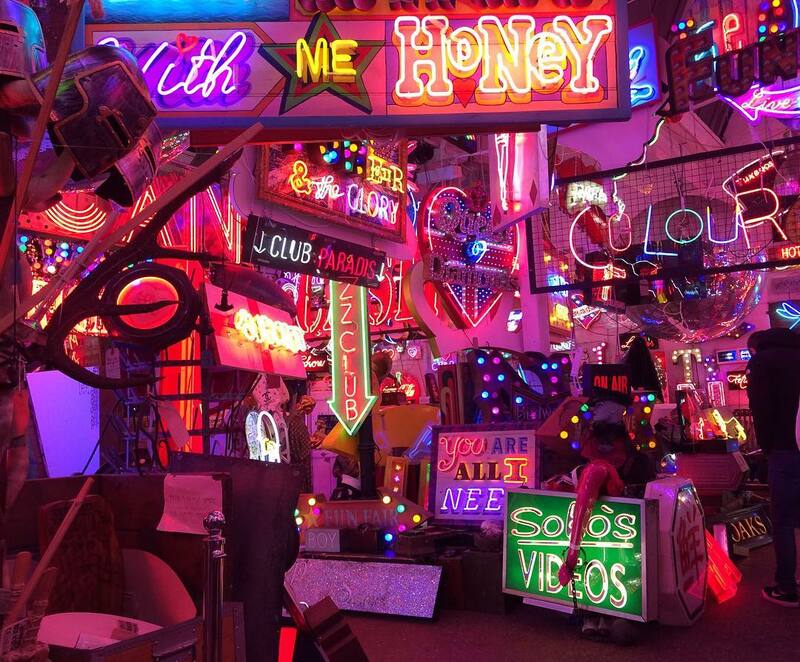 Instead, stick to the candlelit trails and enjoy some fairground rides and musical performance. Find out more about Kew at Christmas. Fancy a little something to eat? Leave via the Victoria Gate and walk towards Kew Gardens underground station: Tap on the Line is literally situated on the platform, dishing up some decent pub food. Or for something fancier, try the Michelin-starred restaurant just outside, the Glasshouse. (‘Cheese is given serious thought’ here, they say.) 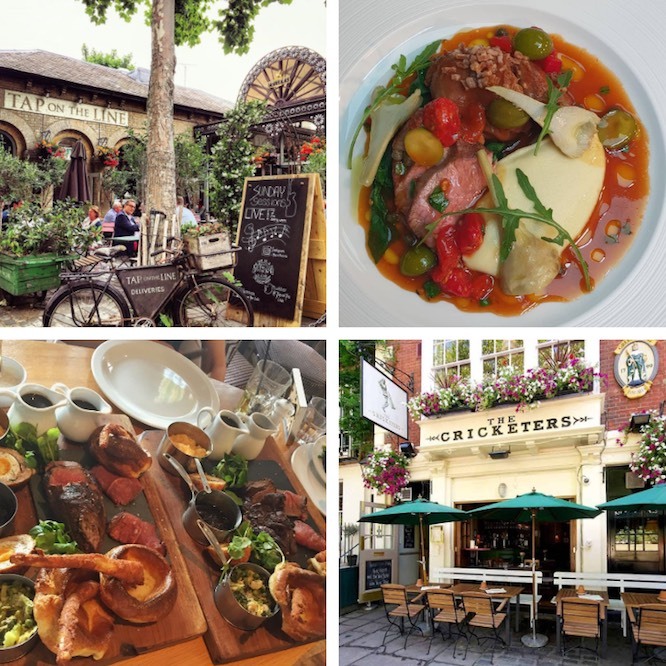 Alternatively, leave via the Elizabeth Gate, where you’ll be heading towards the riverside and Kew Bridge station – and cosy local pubs such as The Cricketers (with the fine roast pictured above) and The Botanist. 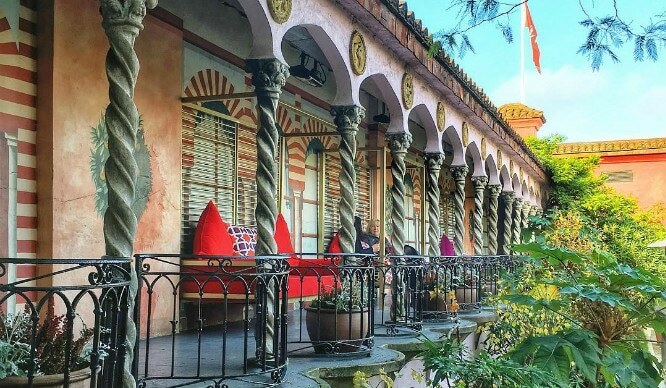 For a mid-stroll pick me up, Kew Gardens is home to three restaurants of its own, with The Botanical offering a fancy afternoon tea. Price: £17.75 for adults, £5 for kids under 16, free for kids under 4 – slightly cheaper if you book online. 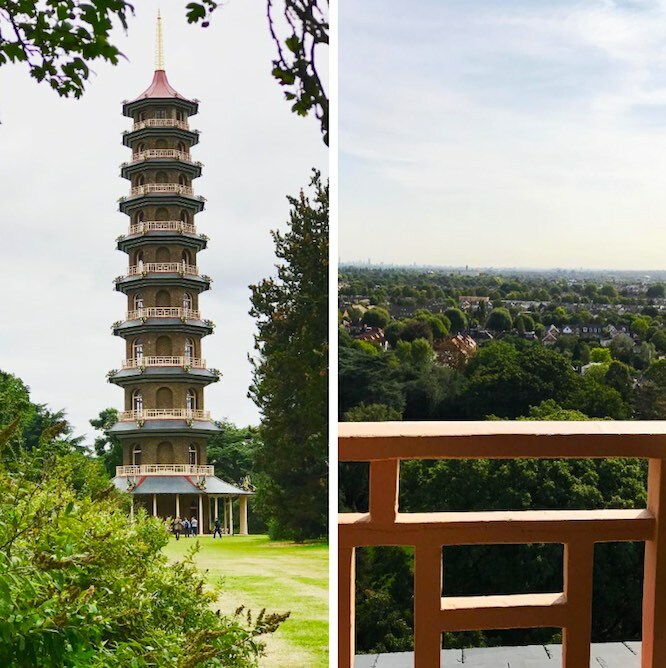 Climbing the pagoda is an extra £4.50 (£3 for children) with limited capacity. Opening times: seven days a week; from 10am, closing at dusk – see site for exact details.